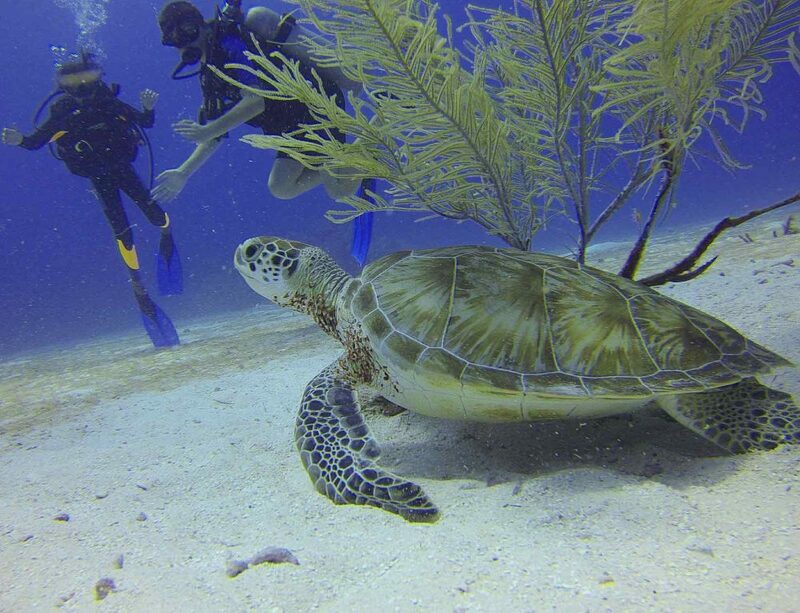 Do you love going diving? Whether you are brand new to scuba and you are just now planning to get certified or you have been diving for many years, you need the right scuba gear. 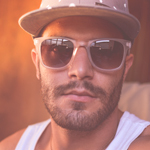 While you might be able to rent some items when you are diving, there are certain things that you will want to have of your own. A wetsuit and your scuba fins certainly fall into that category. Of course, you might not be quite sure exactly what it is you should be looking for in scuba fins. In fact, you might even think that all fins are the same. Even though they might serve a common purpose, there are certainly some differences between them that you will need to consider. Once you start to look at the fins, you will see just how many differences there are. 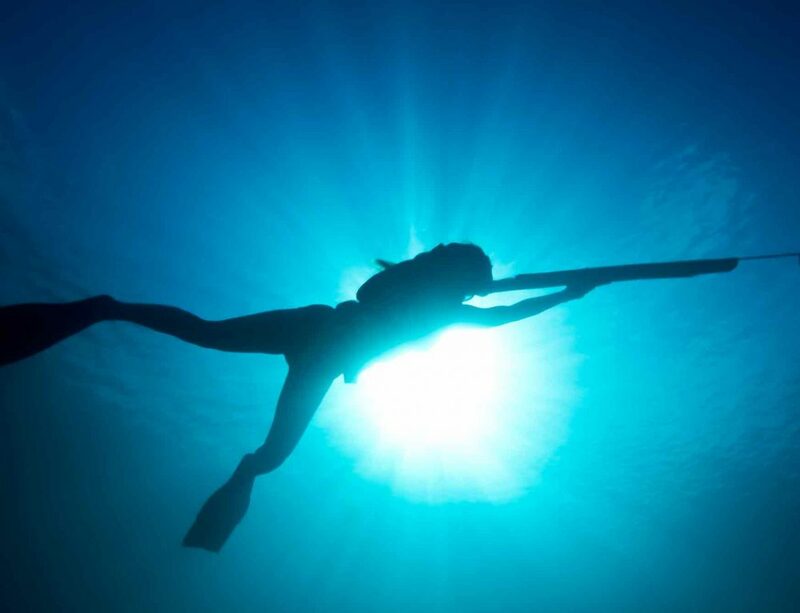 Below, you will find the best scuba fins on the market for 2019, and you will learn a bit more about them. We’ll also be discussing how to choose the right fins and how to utilize them properly in the water. 16 What’s Right for You? When you are looking for some quality fins, you will be happy to see all of the benefits and features that are available with these Seawing Nova fins, like the articulated joint that lets the blade pivot. All of the blades with these scuba fins will be able to provide thrust, which means that you can get the thrust you need without wasting a lot of energy. The interesting design always ensures that the angle of attack for the kick is ideal. The fins are very durable, which means they will last for a long time, as long as they are taken care of properly. These fins are available in a range of sizes and colors. You should be able to find fins that work well for you and for anyone in the family. 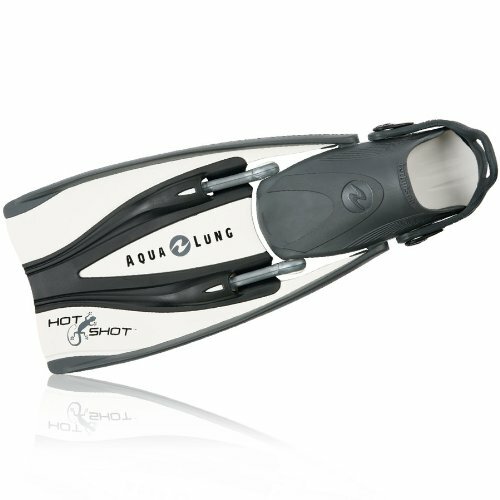 Another option to consider for diving fins are the HotShot fins from Aqua Lung. 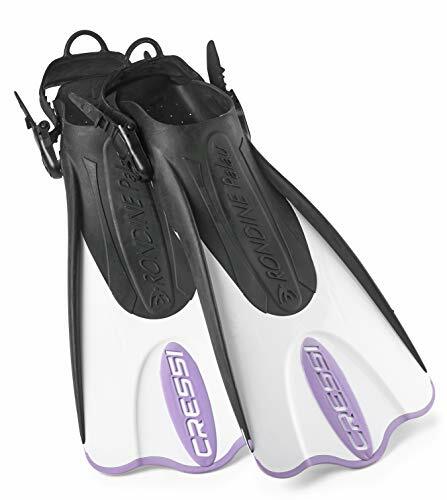 They are available in several sizes and colors, and these scuba fins have rubber pads on the bottom that help to keep the divers from slipping whether they are on the dock or the deck of a boat. These fins also feature grooves on the inside bottom part of the foot pocket. While this might not seem like a big feature, it makes sure that your foot doesn’t become suctioned into the fin, which would make it difficult to get off. Anyone who has had to pull and peel a diving fin from their feet will appreciate this. These diving flippers have an interesting and unique appearance. They feature a patented design that will allow water to flow between the two blades that are a part of each of the flipper blades. This allows each of those blades to provide propulsion with less expenditure of energy on the part of the diver. Divers will experience less drag with these scuba diving fins, as well. Thanks to the design, they can essentially reduce the drag on both the up and the down motions as the diver is swimming. 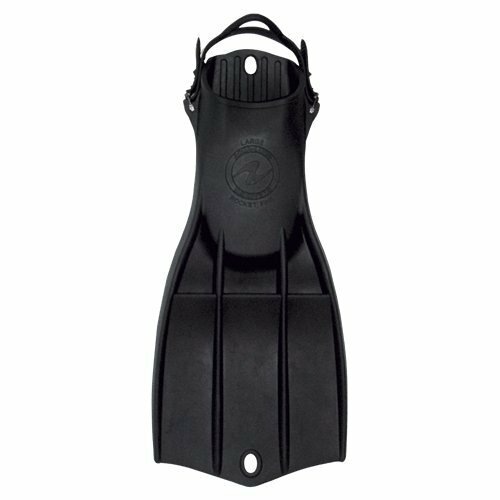 The scuba fins are highly durable, and they can make a real difference when you need to have better propulsion in the water. Here is yet another option available from ScubaPro. Even by just looking at these fins, you can tell that they can bring the diver a substantial amount of power. These have an open heel design, that is vented. This helps to reduce the amount of drag and resistance the divers deal with in the water. The fins are made from durable rubber, and with proper care, they will last a long time. 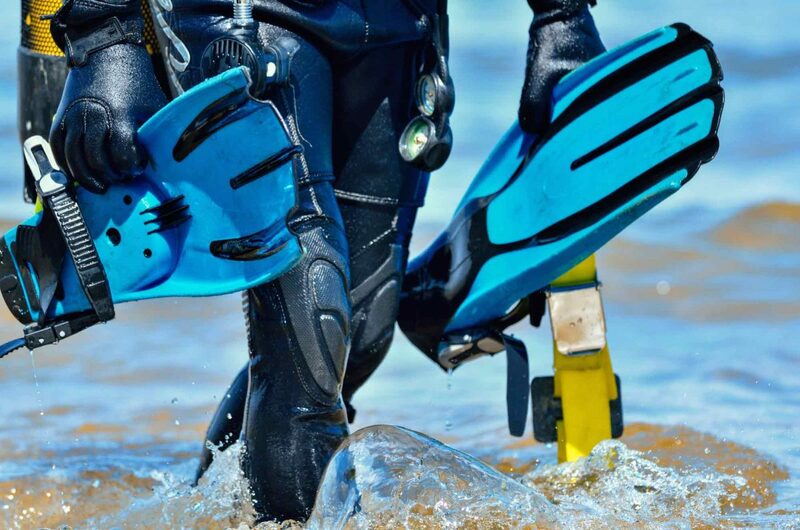 The diving flippers also have an adjustable heel strap and metal buckles. They are available in several sizes. This type of Jet Fin has been around since the mid-1960s, and they continue to be a very popular option because of their reliability and overall quality. Here are some high quality fins that are available in a range of color options and sizes. These are non-vented fins that are made from quality, composite materials that help to make them highly durable. They are very responsive and divers will be happy with the thrusting power that these scuba fins can generate. The fins use a simple bungee strap for tightening and releasing the fins. This is a nice and easy way of getting the fins on and off in a hurry. 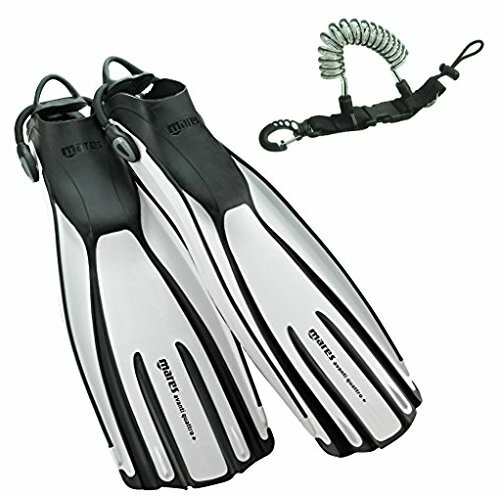 Overall, these diving fins can work quite well in all types of diving conditions. One of the first things you are likely to notice with these fins is the classic, traditional look that they have. While they have a traditional vent, you will find that these fins are full of quality, modern technology that make them one of the best fins on the market today. they have three vents on each of the fins, which means that the divers will be getting extra thrust and less drag with each movement. The fins are made from thermoplastic polyurethane, which is durable. You will also find that the fins will float. This could be helpful in the event that one of them falls off. These are a traditional style scuba fin, which has a vented blade style. They have been a popular option for a number of years, and many divers, new and experienced, still enjoy using them. They have a quick release system to make taking them off easy. These are durable diving fins made from 168D polyester, along with a PVC coating. 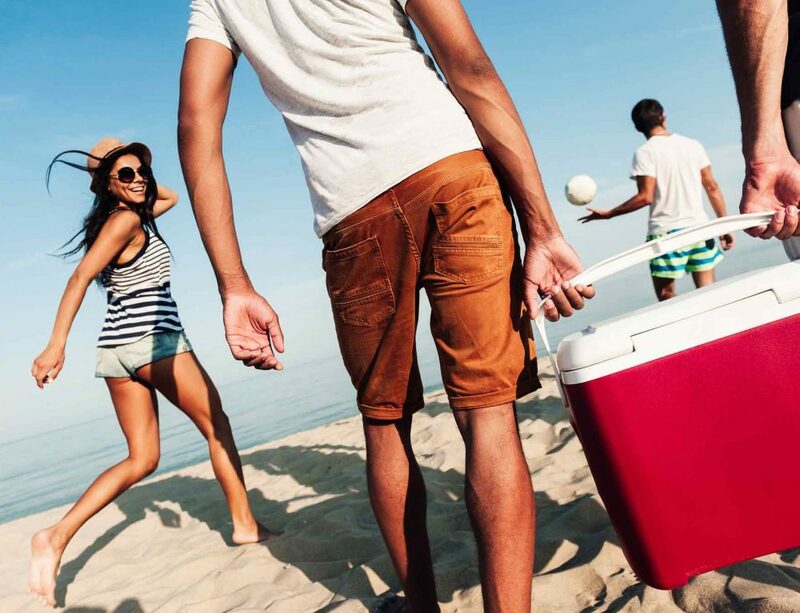 The fins are built to last. They are abrasion resistant, as well. These are high-performance split fins that have a full foot pocket rather than the typical strap system. Thanks to the shape and design of the fins, they provide maximum power and speed with each kick. Split fins are some of the most popular types of scuba fins in use today thanks to the power they are able to provide. These are a quality option that is durable and that looks as good as they feel and work. 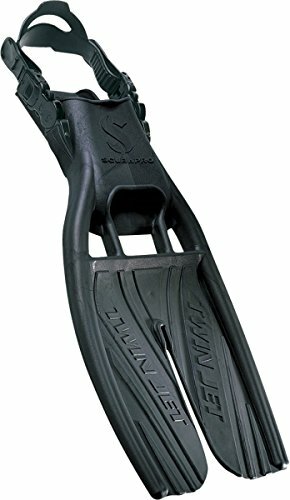 These split fin scuba diving fins have a great look and feel to them. The split helps to provide that added thrust and power that the other fins of this style can offer. TUSA has a multi-flex patented blade system and an angled blade design that helps to make these truly effective. With these fins, you get more power and speed and reduce your fatigue. They were first introduced in 2003, and they continue to go strong. These are durable fins that can provide years of use. These fins have a unique design. They are sleek and aesthetically pleasing, but more importantly, they work very well. 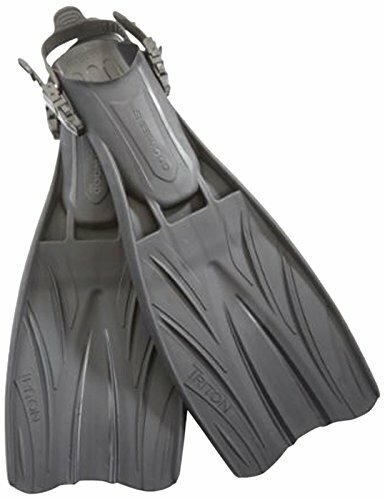 These scuba fins feature a rubber foot pocket, along with a techno-polymer blade. With this type of design, it effectively increases the working area of the blades by 20% per fin. This means that divers will have to do far less work when they are kicking to get the same results. These will provide more comfort and less fatigue. If you are thinking about traveling and you need to have some quality fins with you that will be nice and easy to pack, consider this option. These are lightweight and compact, but they still have the quality that divers have come to expect from the brand. These travel fins are available in two different colors, as well. These travel fins are comfortable, they are easy to pack, and they are highly durable. They are made from 100% monprene. They have a flexible fit and a bungee heel strap that is replaceable. They are easy to take on and off, even if you are using neoprene socks. If you are looking for fins that have a traditional design and that could be considered the “workhorse” of scuba fins, this option from IST might work well for you. These have vents that can help to improve the water flow and efficiency of the fins. Fins like these have been used by the military, and they can provide the flex and power that is needed to move quickly through the water. The fins are easy to use, and they are made from high-quality rubber, which will ensure they can last for a long time. This set of scuba fins is actually military grade. While these could certainly be used for diving wrecks and in similar recreational situations, they are a good option for open water rescue, salvage diving, and similar uses. Even though there are quite a few choices, there is no need to be overwhelmed. Now that you know what’s out there, here are a few things you will want to keep in mind when you are choosing your diving fins. One of the first and most important things that you will need to consider is the size. 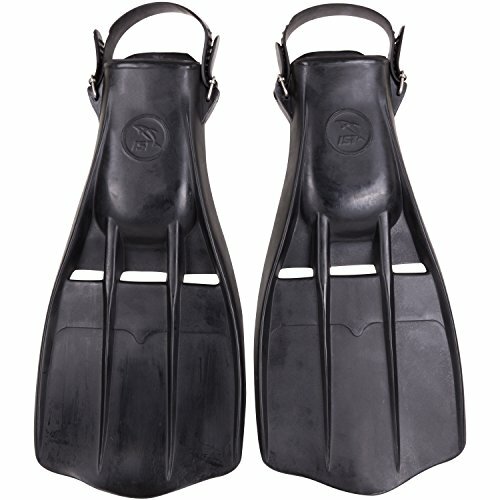 It is essential that you find scuba diving fins that will fit well and be comfortable for you. Also, you don’t want your fins to slip off during the middle of a dive. In addition, you have to think about the overall style of the fins themselves. 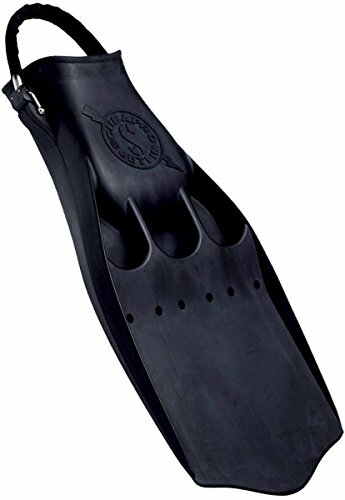 Are the traditional paddle style fins something that interests you and would work for your diving style? Do you need more speed and power, and feel that having split fins might be a better option? Should you get a full foot fin? Of course, once you have started to narrow down your choices somewhat, you will want to start thinking about the aesthetics and the color of your fins. Some might just want some simple black fins, but others might want to have more colorful scuba fins. 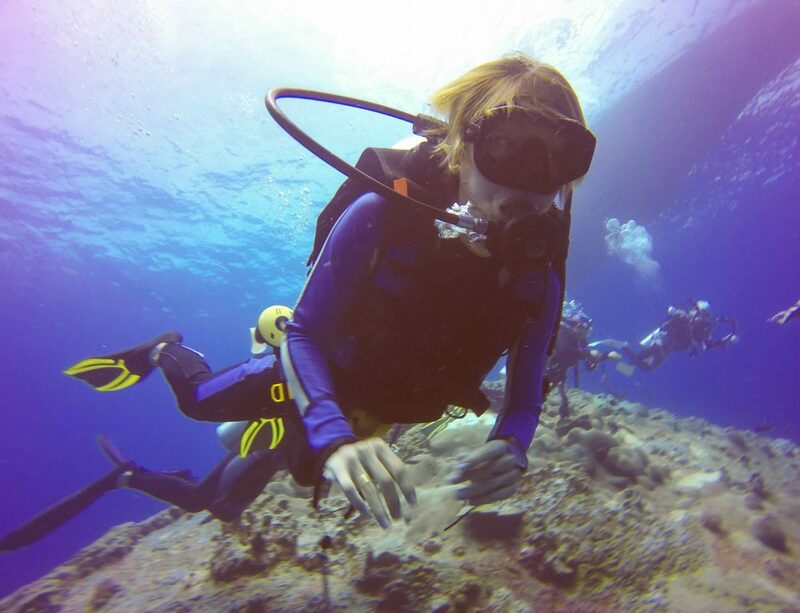 If you have never used scuba fins before, they can feel a little strange when you get into the water with them. Take it slow at first, and you will be swimming faster than you thought possible before you know it. 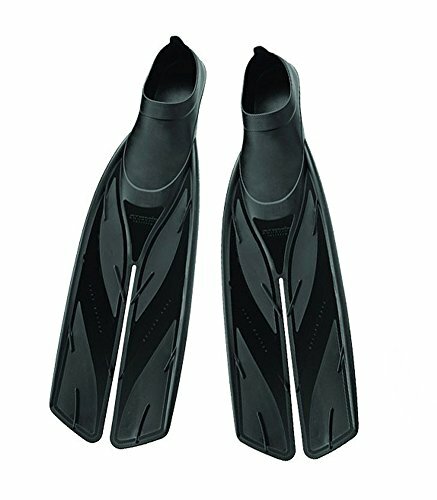 As you can see, there are many different options and styles that are available with scuba fins today. Consider the options that we’ve presented for the best scuba fins of 2019 and find those that will work well for your needs, whether you are a professional diver or you are just getting started.